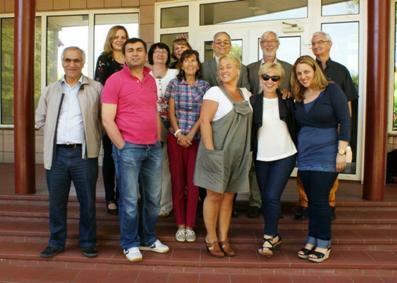 The participants visited the school “Zespol Szkol Nr 11 in Koszalin”. They observed parts of three lessons: English, Maths and Chemistry during which the students and their teachers were working with ICT tools (computers and interactive whiteboards). 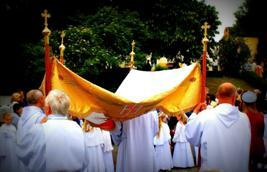 Corpus Christi, one of the most important catholic ceremonies became the main keynote of the meeting ( the workshop took place in the period of this event). The presentation related to Corpus Christi was held by Alicja Lorenz, the Religious Education teacher trainer who told the story of this event and explained its role in the catholic church. Thanks to it the members of the workshop were better prepared to the procession they participated in during the second day of the meeting. The second presentation of the day was held by Urszula Rusiak. The objective of the workshop is to teach the trainers and the teachers to work with electronic encyclopedias that could be used in their lessons. 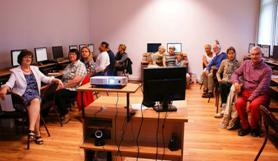 The theme of this workshop was “How to use the Wikipedia encyclopedia for educational purposes”. Urszula Rusiak presented this tool and its features (neutral point of view, verifiability, no original research,). She also informed the members of the workshop about the laws related to copyrights and the way of creating a new Wikipedia entry in respect of the correct style. The members of the workshop participated in Corpus Christi procession in order to collect necessary documents ( photos) for their Wikipedia entries. 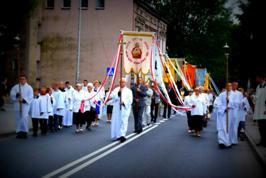 They also could get to know how in Poland this event is celebrated : they saw colorful processions where the sacrament was carried throughout the city and small-town streets decorated with flowers and greenery. The second part of the workshop “How to use the Wikipedia encyclopedia for educational purposes” was held by Urszula Rusiak and Mariola Rink- Przybylska. 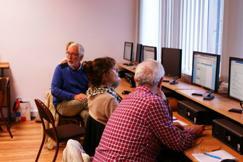 The participants were taught how to test a new entry and how to travel through hypertext. 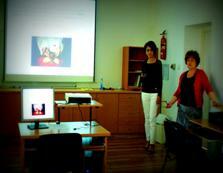 They also created a new entry in Wikipedia about traditional religious events in the Motech partners` countries. Finally, some examples of the use of the encyclopedia for educational purposes were given and widely discussed. The participants evaluated the workshop as well as the multilateral meeting outcomes. This was done with an evaluation form thanks to the platform www.jotform.com. 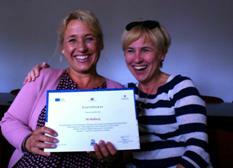 The Polish partner will be responsible for sharing the results with all MoTech-partners. -the decision was taken that the final conference will take place in Turkey and not in Lithuania. The head of Centrum Edukacji Nauczycieli in Koszalin, Stefan Turowski gave for all meeting participants their certificates for their workshop and consortium meeting participating. 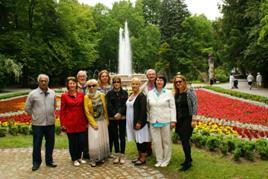 The MoTech Partners visied the city center of Koszalin. 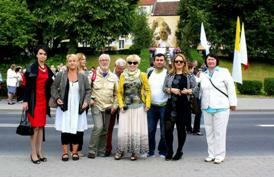 They were guided by Katarzyna Sobańska who presented shortly the story of the city. 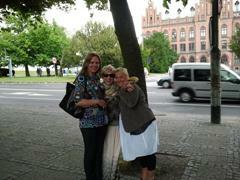 They also went to Darłowo where they visited the castle.